Do you have a kid who loves to bake? Kids will explore, create and learn about the culinary arts with fun Spring recipes. Lessons will focus on following recipes, measuring, and decorating. Bakers will be divided into age appropriate groups to be taught in a fun and engaging atmosphere. Your kids will become confident in the kitchen, make new friends and learn important baking skills. Do you have a little one that loves unicorns and rainbows? Then this class is for them! Join us and the pastry chefs from Just 4 You Treats to explore the magical world of unicorns through literacy stories, crafts and best of all baking. During the class, children will use their imaginations to explore the magic and whimsy of unicorns, using all their senses. The class is designed for all unicorn lovers ages 4-10. Younger children may be accompanied by an adult at no extra cost. 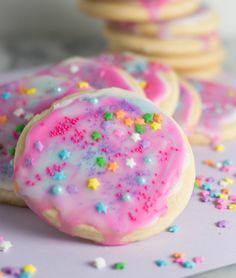 Celebrate Mother's Day by spending the morning decorating beautiful pieces of art, as we we walk you through a variety of cookie decorating techniques. Each participant will receive 6 cookies and all the materials needed to decorate. Just bring a cookie sheet to transport your decorated cookies home. Designs and techniques can be used by all ages, so grab your mom, a girl friend, grandma, etc. and join us for the fun!